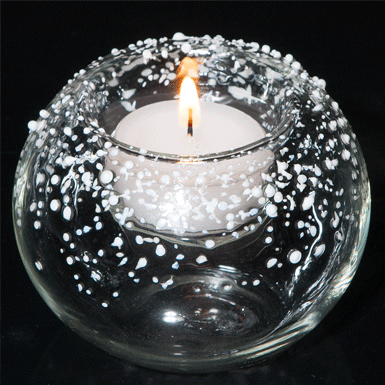 Snowflakes, which do not melt even with candle heat. White glass slivers are fused with the edge of the spherical light. Blown free of glass rods at the burner - so-called "Lampentechnik".